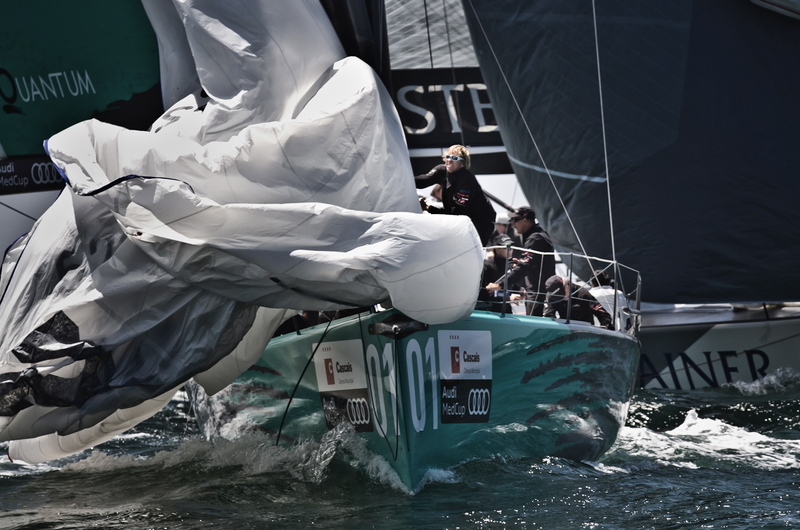 Today's first race was won by Quantum Racing which leaves the current TP52 world champions with a 8.5 point advantage going into the last race of the Cascais Trophy. Quantum Racing grabbed the lead as soon as they managed to cross the fleet on the approach to the right side of the course and from there stayed in control. Container mounted a challenged during the first run but had to settle for second place. Audi Azzurra Sailing Team appeared to lose boat speed to finish in sixth which now sees Container rise to second overall with a one point margin over the Italians.